I was told this guitar was the only one available in the US and that not even Gibson employee have not seen it yet. 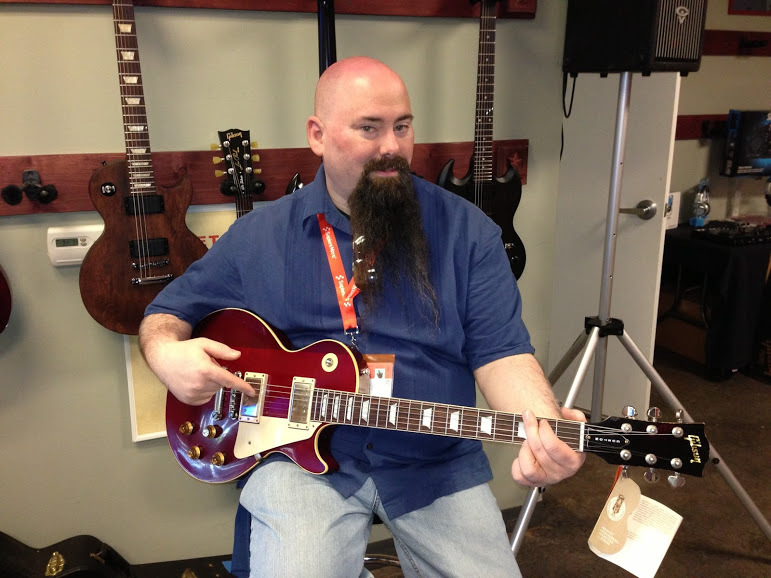 I am talking about the recreation of the famous Lucy Les Paul Guitar. A guitar that has a history just as ragged as any rock star out there. 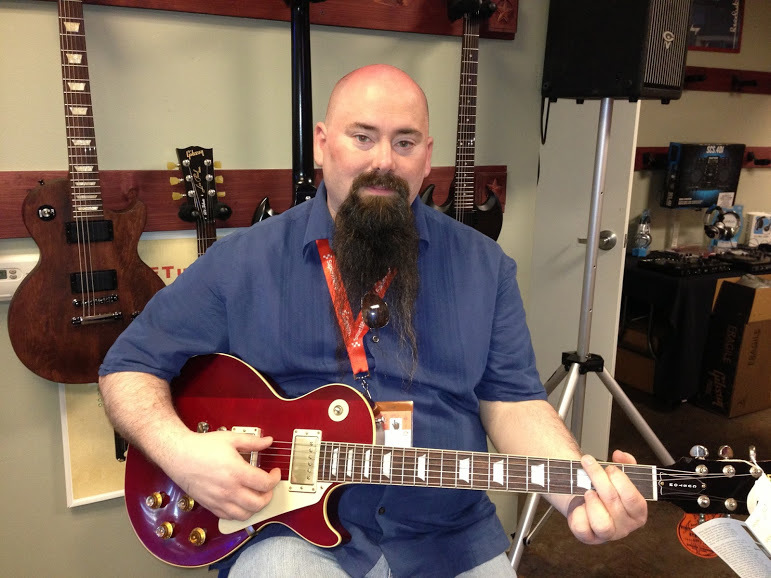 I am joined by Jon Accarrino of Red Touch Media to show off this beautiful guitar. This guitar started out as a Les Paul 57-58 Goldtop – a pretty rare guitar to start with. John Sebastian of the Lovin Spoonful eventually was the first notable name to hold and use this guitar in 1965. Sebastian didn’t have it for long as he traded it to Rick Derringer for a new amplifier. Derringer – who was with the McCoys at the time – liked the guitar but didn’t like the goldtop look so he had Gibson refinish it with a Red SG style. However, it didn’t feel right when Derringer got it back so he ended up selling it to a guitar shop in New York. Two days later, Eric Clapton walked in and purchased the guitar off the shelf as a backup guitar. He held on to it for a small while, then gave it as a gift to George Harrison who ended up performing the famous song “While my Guitar Gently Weeps”. He dubbed the guitar “Lucy” after Lucille Ball for the firey red look. This all happened between 1965-1968. Harrison kept the guitar and his wife, Olivia, still owns it to this day. It was even stolen and reclaimed for a brief time in 73. The guitar was brought in to Gibson where a team studied it. They made a 3D model which included every nick and scratch in the original guitar. From there the team went to reproduce this famed guitar for other enthusiasts to enjoy. Gibson only made 50 copies of this axe. I held model number 23 – which like I said was the only available in the US. Unfortunately the Lucy is a little out of my price range – $15,000 to be exact. It was a great honor to have held this guitar and thank Gibson for giving me the opportunity. However, Red Touch Media is giving away a Gibson Firebird guitar. Enter to win!